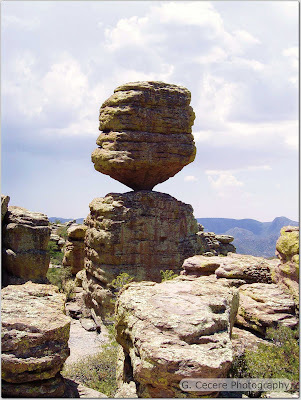 Chiricahua National Monument is a unit of the National Park Service located in the Chiricahua Mountains. 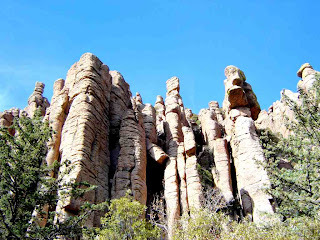 It is famous for its extensive vertical rock formations. It was created on April 18, 1924. The national monument also preserves the Faraway Ranch, owned at one time by Swedish immigrants Neil and Emma Erickson. The monument is located approximately 36 miles (58 km) southeast of Willcox, Arizona. 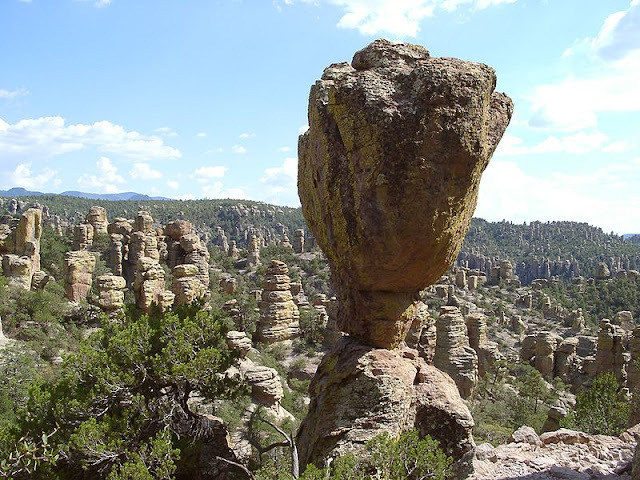 Geologists believe that it preserves the remains of an immense volcanic eruption that shook the region some 27 million years ago. The thick white-hot ash spewed forth from the nearby Turkey Creek Caldera, cooled and hardened into rhyolite tuff, laying down almost two thousand feet of dark volcanic ash and pumice, highly siliceous in nature which eventually eroded into the natural features visible that we see at the monument today. In 2008, the Chiricahua National Monument Historic Designed Landscape, covering roughly 80% of the National Monument, was listed on the National Register of Historic Places.